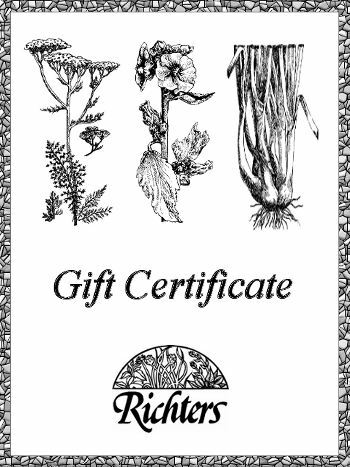 Richters gift certificates are a great way to give the gift of herbs to friends, family and associates. Choose from three amounts in either U.S. or Canadian dollars. Each gift certificate comes with a card and a Richters catalogue. When checking out, please provide in the notes section the recipient's name, address and any message to the recipient.